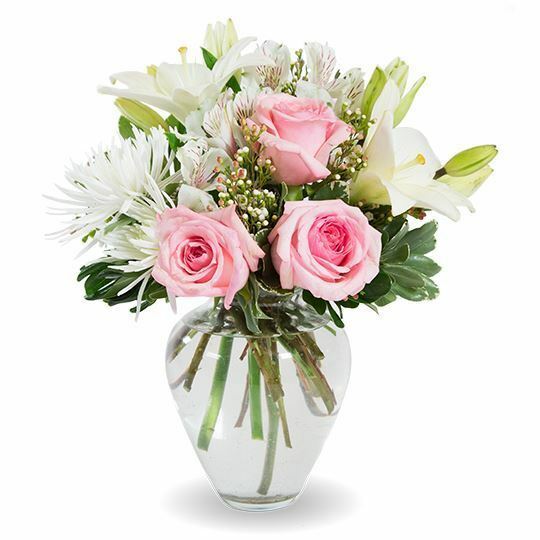 A charming mix of perfect pink roses mixed with creamy white lilies, alstroemeria, chrysanthemums, and greenery to remember your loved one. We loved this arrangement. We had trouble deciding, but these were perfect! We have never tried ordering online, but this was an easy site to use. These came on time and looked perfect! Great option for those who can't attend a funeral! Flowers were fresh and the arrangement looked beautiful! I wish all online orders were this easy! 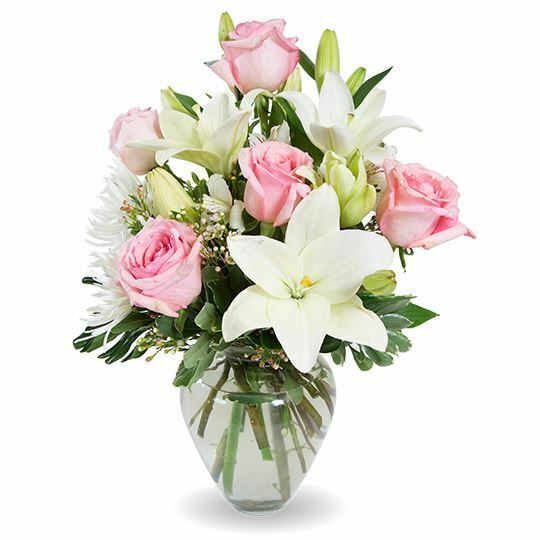 The flowers were delivered well before the doors for the visitation began and the florist made sure they were perfect. The flowers looked lovely, we ordered four of these to put throughout the room. Thanks for sending them on time! A great way to remember someone. Very tasteful and elegant arrangement. Happy with my selection, but there are so many pretty flowers on this site! Couldn't have asked for better flowers. These turned out great. The flowers looked as pretty as in the picture! Cute arrangement! Perfect size for a gift. I really liked this arangement. Got these for an old friend. She would have loved them. I'm so glad this site offers different sizes. I really liked the flowers in this arrangement, but I wanted something bigger so I got the premium size. Just the right amount. They arrived on time as promised! Thank you again! These looked even prettier in person! Nice arrangement! I loved them!! 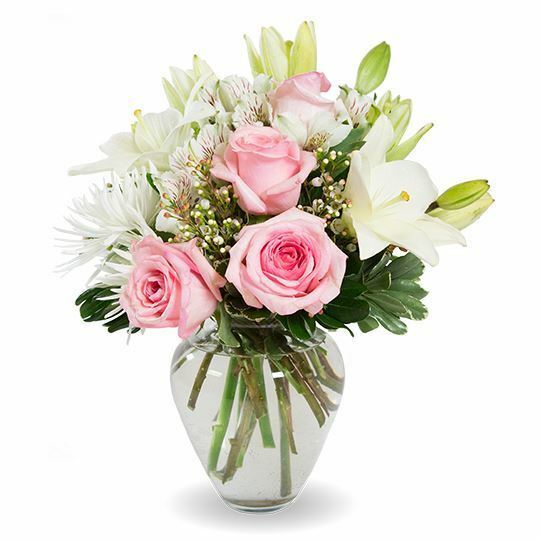 I dont know much about flowers, but this site described them well and the service and delivery were so easy!